When you use a T-adapter to connect your 35mm camera body to a telescope for prime focus photography, you turn your telescope into a high power telephoto lens. The object being photographed will be magnified from 10 to 78 times, depending on the focal length of your telescope. (Divide the focal length of your telescope by 50, the focal length of the lens supplied with most 35mm cameras, to find the magnification with your particular scope.) 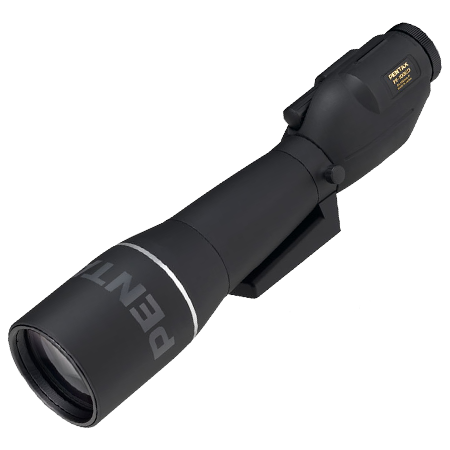 While this magnification range is suitable for terrestrial photography or photographs that contain the full disk of the Sun or Moon on a single 35mm frame, even a magnification of 78x leaves the planets no more than pinhead size on your 35mm slide or negative - too small to reveal surface features. 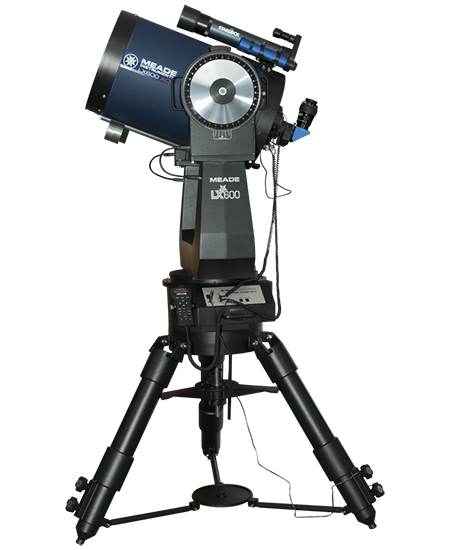 For 35mm photos where a planet takes up a significant portion of the negative and shows surface details, and for close-ups of lunar terrain and sunspots, using a tele-extender is the answer. Tele-extenders are available in two types. One is a purely mechanical coupling tube for high power eyepiece projection use with catadioptric telescopes. The second type is an auxiliary lens designed for intermediate magnifications with certain reflector and refractor telescopes. For high magnification photography with refractors and reflectors, see the separate section on "Camera Adapters." In eyepiece projection photography with a catadioptric telescope, you remove the star diagonal and eyepiece from your scope and insert an eyepiece directly into the telescope's 1.25" visual back (or eyepiece holder). 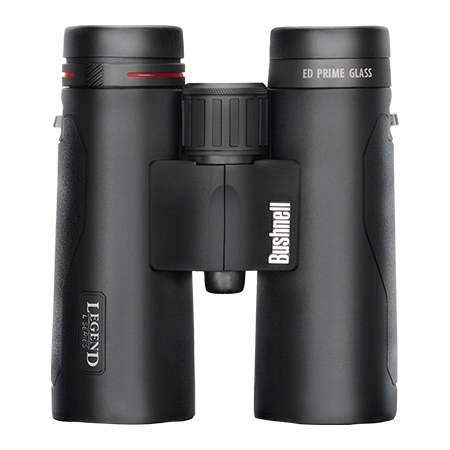 If your catadioptric scope did not come with a 1.25" eyepiece holder as standard equipment (such as the Meade LX200GPS scopes equipped with an electric focuser), you will have to buy one separately. The eyepiece must be locked firmly in place using the thumbscrew on your telescope's eyepiece holder. This keeps the eyepiece from falling onto the shutter of your unprotected camera when your telescope is tilted up to the sky. The tele-extender (a 4" to 6" tube with internal threads that fit the externally-threaded 1.25" visual back of your scope at one end and external threads for a T-ring on the other) is threaded onto the visual back, over the eyepiece. Attach your camera body, without its lens, to the tele-extender by using an optional T-ring. 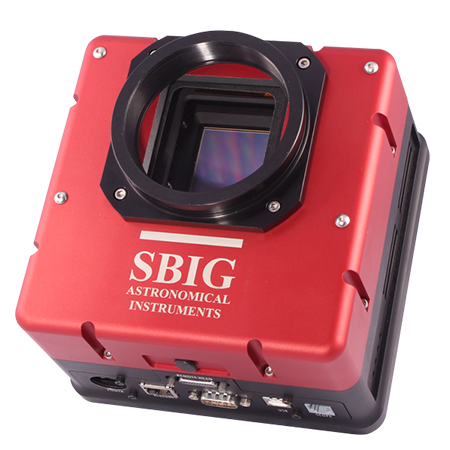 In this way, the eyepiece will project highly magnified images of the Moon and planets onto your film - images that are large enough to show surface detail. 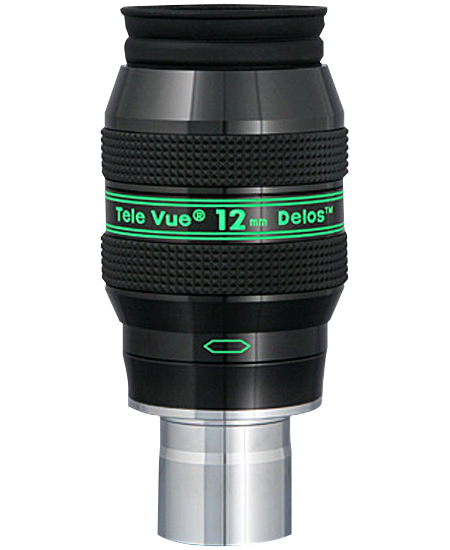 With certain refractors and reflectors, the scope-specific tele-extender lens attaches to the telescope focuser's drawtube. Your camera is connected to the lens by means of an optional T-ring. The individual tele-extender descriptions below contain calculators that will let you determine the effective focal length, focal ratio, and photographic magnification with your particular telescope when using a tele-extender. 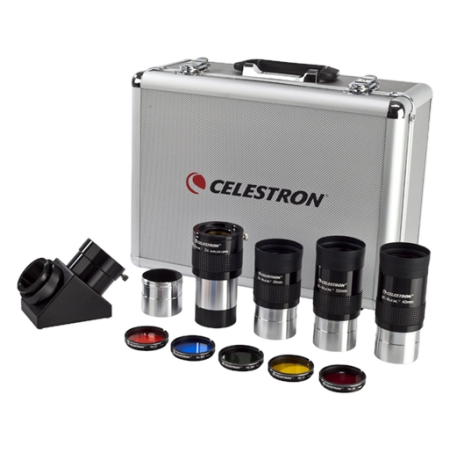 For example, if you use a Celestron Deluxe Tele-Extender with a 10mm eyepiece on an 8" f/10 Schmidt-Cassegrain, the Deluxe Tele-Extender calculator will show that your new effective focal length will be 22,600 mm, with a magnification of 452x and a focal ratio of f/113. The images in the normal viewfinder screen of most cameras will be dim indeed at this focal ratio and a good reason why focusing for planetary photography is very difficult. A clear glass focusing screen for your camera (if available from your local camera store) will help in achieving sharp focus. 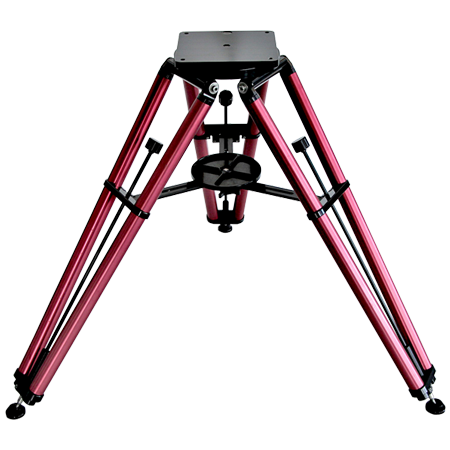 Tele-extenders are available for Meade and Celestron catadioptric telescopes and spotting scopes, as well as for Takahashi and Meade APO refractors and certain Vixen refractors and reflectors. An optional T-ring is used in all cases to connect your camera body to the tele-extender.